Flappy The Elephant Plush Toy Just $20.44! Down From $40! You are here: Home / Great Deals / Amazon Deals / Flappy The Elephant Plush Toy Just $20.44! Down From $40! This is so cute! 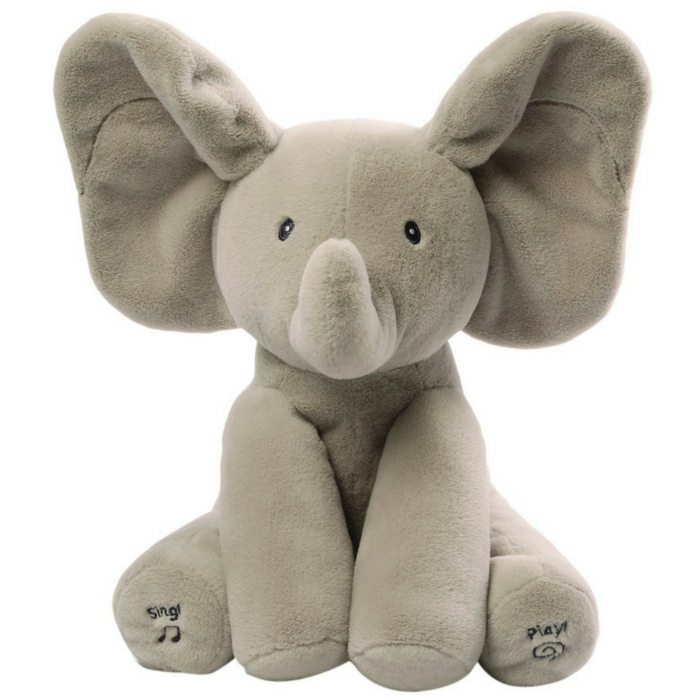 Get this Flappy The Elephant Plush Toy at Amazon for just $20.44 down from $40 PLUS FREE shipping with Amazon Prime or for orders $25 and above! Flappy The Elephant is an adorable singing animated plush with two different play modes. Press the left foot to play an interactive game of peek-a-boo, and the right to hear the song “Do Your Ears Hang Low” in a cute child’s voice. Ears move and flap during play. Surface-washable for easy cleaning. Appropriate for all ages. Makes a great gift!